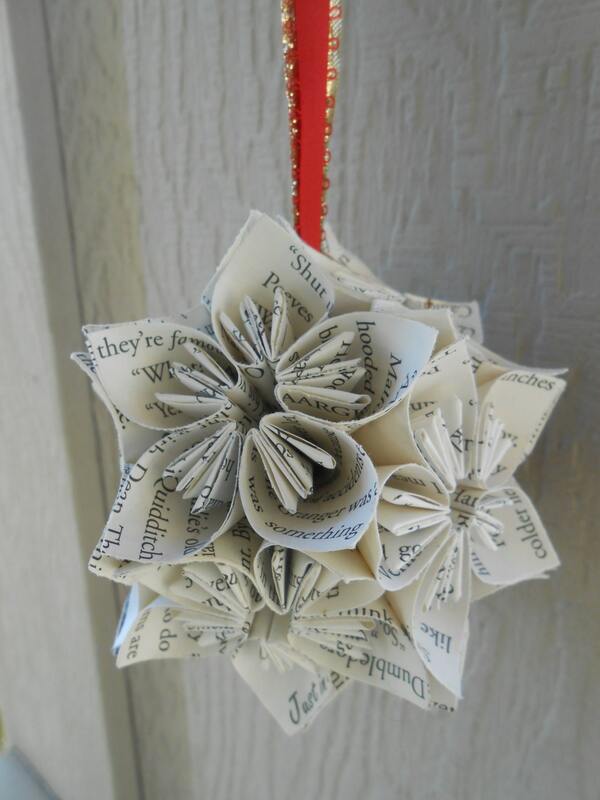 BOOK Kusudama Ball. Upcycled Origami. Wedding Decor, Gift, Home, Unique. 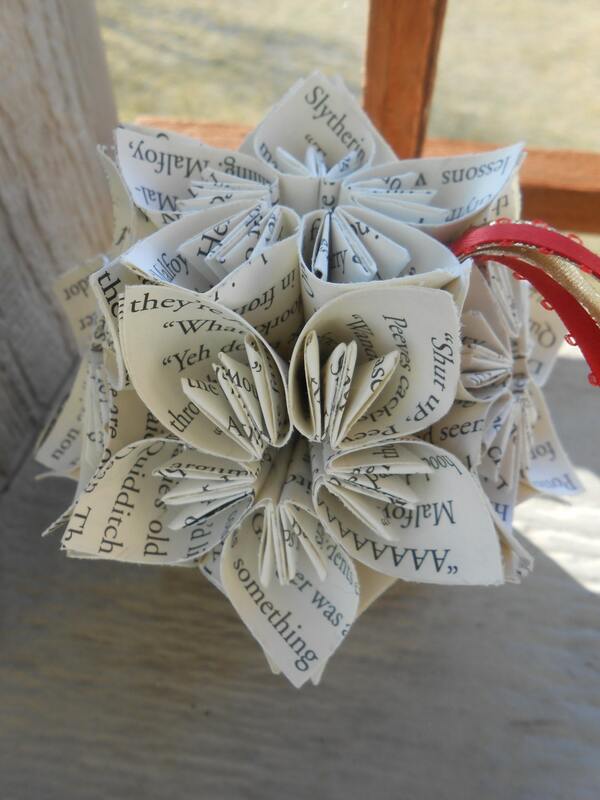 This book kusudama ball is a very cute decoration for anyone to own! 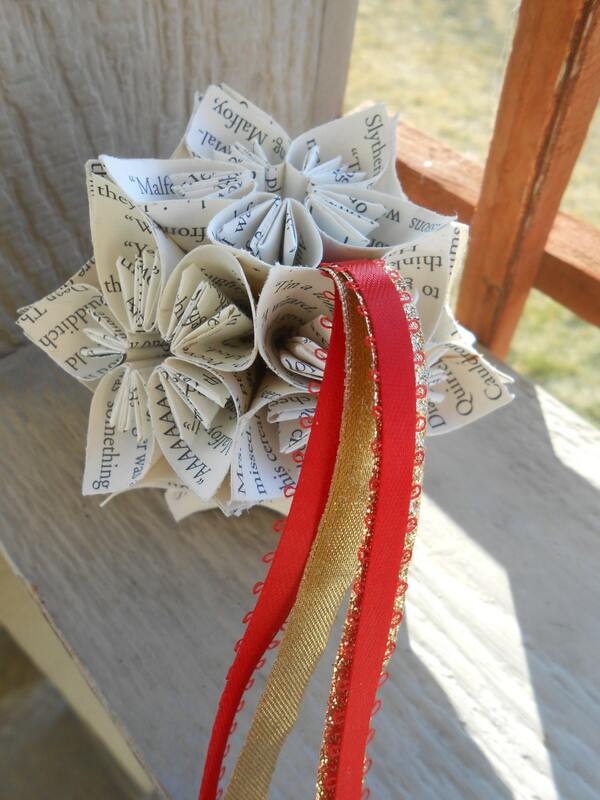 This one has red and gold ribbon. OR you can choose a different ribbon color at checkout. 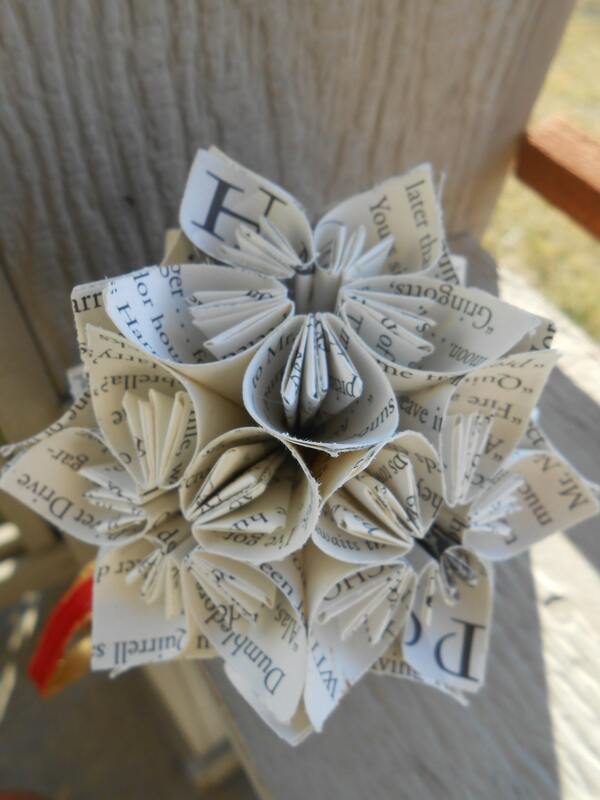 These are made from carefully folded origami paper flowers cut from a book, and put together to form a kusudama paper flower ball. This makes a great decoration for a room, for a locker, for a teacher, or for anywhere you want to hang it, including the Christmas Tree!!! ***please let me know what color ribbon you would like a checkout. 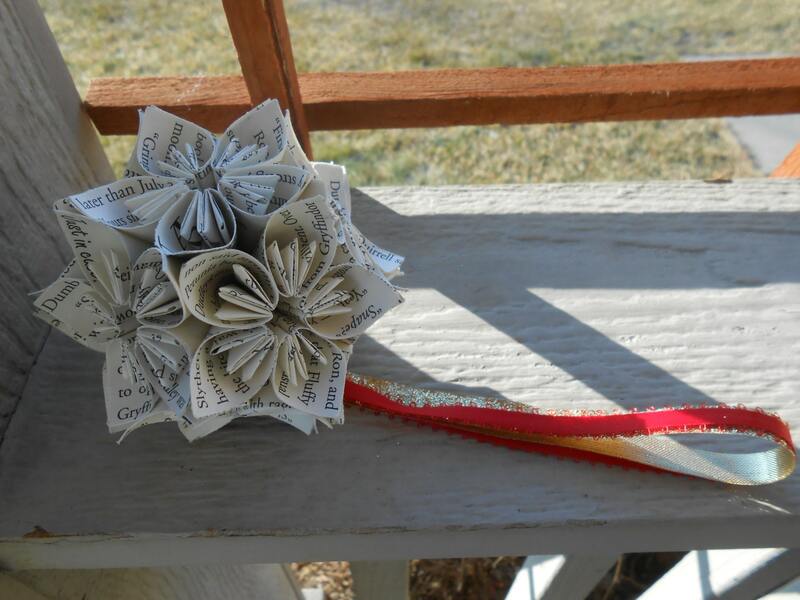 This kusudama ball is my medium size and is made from 12 flowers. It measures 5" across. I do have bigger ones available in my store. And smaller! ***PLEASE ALLOW ME 3- 5 BUSINESS DAYS TO GET ONE OF THESE IN THE MAIL. THANKS!